This is the mantra of the Wayra Academies set up by Telefonica. They have set up 13 accelerators in 12 countries around the world in this unique initiative, seeking to realise new ideas and create a wave of new start-ups (180 and counting). 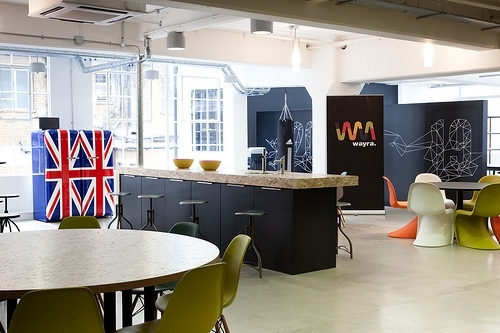 (Declaration: I am a mentor at Wayra UK and board advisor for two of the businesses there. And I think it’s brilliant). It’s a bold initiative and an innovative approach for a large corporate. “The rules are not yet written” is an articulation of this, demonstrating their belief that the players will decide where to play and so their role is to provide the space for them. Very different from the controlling mentality we normally associate with companies of such size and scope. Only I don’t think it’s right. As a demonstration of intent, it works perfectly. And I completely approve of the approach they are taking. But it infers that the rules are in the process of being created. The new rules. For the new world we find ourselves in. Well, IMHO, there aren’t going to be any rules. We’ve left the old world of certainty. Of predictability. Of ‘the way to do things’. From now on, everything will be changing, all the time. Agility, flexibility and adaptability are all that matters. Everything else is up for grabs. We may have been deluding ourselves in the past and the control we thought we had was just illusory. There’s no doubt about the future though. Perhaps Wayra’s mantra should be “The rules cannot be written”. This entry was posted in Uncategorized and tagged Startups, Vision, Wayra. Bookmark the permalink. Post a comment or leave a trackback: Trackback URL.